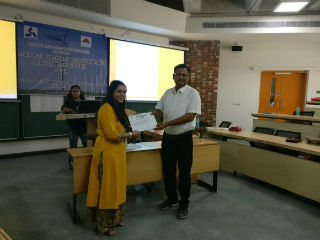 JIMS, Rohini Congratulates Dr. Neelam Dhall and Dr. Deepika Saxena for Presenting Research Paper at International Conference on ‘Sustainable Management’ at IIM, Kashipur. 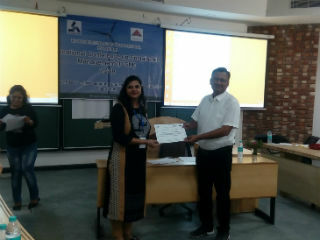 Recently, two faculty members of JIMS, Rohini- Dr. Neelam Dhall and Dr. Deepika Saxena presented a research paper on ‘Sustainable HR practices in Retail Sector: A Conceptual Framework’ at International Conference on ‘Sustainable Management’ from 25-27 May’2018 at IIM, Kashipur. In particular, their research paper proposed a conceptual HRM framework clearly illustrating major HR roles and corresponding HR practices that need to be focussed upon in order to support and accelerate sustainability initiatives in retail sector. The paper also highlighted current HR trends and practices employed by some of the successful retail companies to meet the new demands of the era of sustainability. Their proposed conceptual HRM framework for sustainability in retail sector was applauded for it’s theoretical and practical implications by the academicians and researchers who attended the conference. 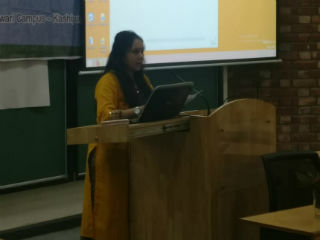 Also, Dr. Neelam Dhall being the track chair for one of the tracks on ‘OB & HR’ steered various paper presentations; encouraged intellectual discussions among participants and shared her constructive feedback with paper presenters. 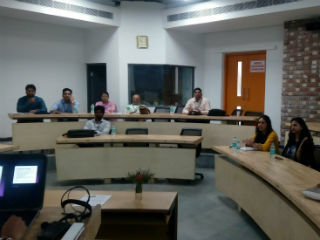 Overall, it was highly enriching experience for JIMS faculty members who not only gained insights into diverse issues linked with sustainability but also got the opportunity to share their research work on such a distinguished platform.